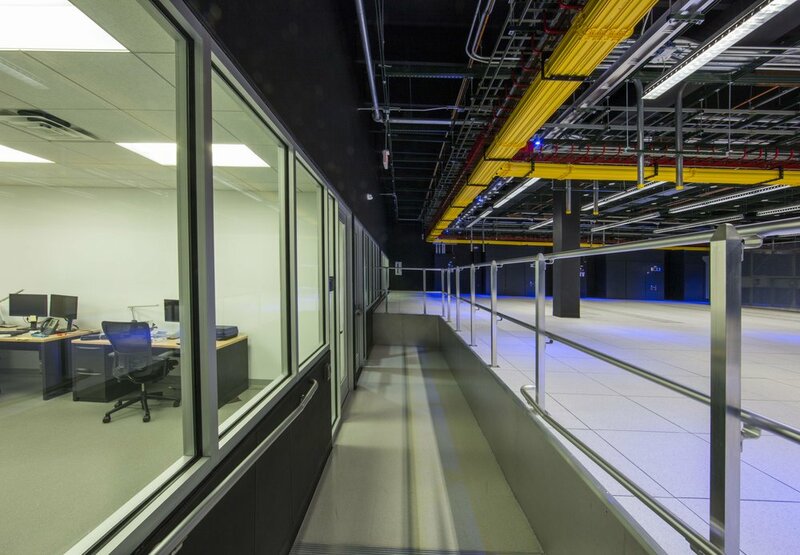 Highland Associates was commissioned to design and engineer an Equinix branded Internet Business Exchange (IBX) center in Boca Raton, FL as part of a design-build joint venture with Clune Construction. The site selected for the new IBX project contains a multi-tenant, reinforced steel and concrete structure constructed in the 1970s housing IBM as the primary tenant. The lease space totals approximately 38,000 square feet consisting of +/-17,500 square-feet of Colocation space utilizing 30” raised access flooring (RAF); 6,500 of Infrastructure Support Rooms; a 6,800 square-foot Equipment Yard containing support generators and air cooled chillers; and 5,500 square feet of Customer Care Areas which includes a new Lobby, Security Room, Mantrap, Conference Rooms, Offices, Tech Workrooms, Break Rooms and a Customer Lounge. The electrical distribution system consists of existing landlord-owned medium voltage unit-substations; a 480V Main Switchboard; two 2,000kW diesel engine generators with N+1 configuration used for stand-by power; 1,000kVA UPS modules; UPS distribution switchboards; Static Switches; Power Distribution Units; Remote Power Panels and Load Bank Switchboard. The electrical capacity for the Colocation is 4.6kVa per cabinet utilizing an N+1 redundancy UPS configuration. The HVAC system was designed to support approximately 400 cabinets at 4kW per cabinet; cooling for the Infrastructure Support Rooms and the Customer Care Areas. The primary cooling is supplied from the base building chilled water plant while the ‘Day 2’ redundant cooling system consists of two 600-ton air cooled chiller units with two primary and one redundant chilled water pumps. The Colocation space is cooled via CRAC units utilizing an N+1 configuration on the RAF and supported by a chilled water piping loop including isolation valves for maintenance purposes. 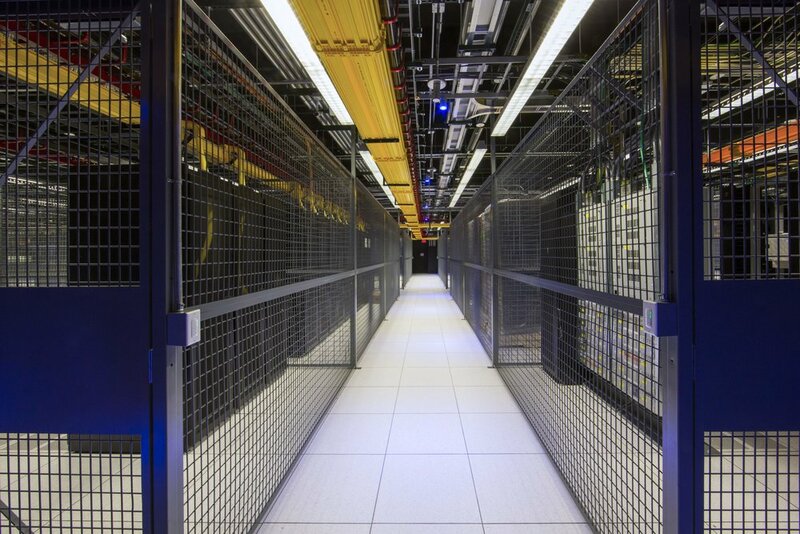 The Colocation space is protected using a pre-action sprinkler system with Vesda smoke detection as the initiating devices. The Fire Alarm system will provide signals on the sub system fire control panel display & Equinix command center which will then send signals to the remote base building fire alarm system.